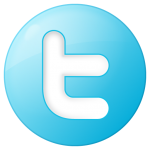 Paraduxx is owned by the Duckhorn wine company who has many other wineries (Duckhorn, Decoy, Goldeneye,and Migration) in Napa, Sonoma. Paraduxx started in 1994 and opened their tasting room in 2005. The tasting room is on the Silverado Trail between the Oakville Crossroad and Yountville Crossroad. The Red wine had a medium color depth. The hue was garnet and my glass was clear. The Red wine was slightly aromatic and young. I could smell spice, sweet dark fruit. Slight cinnamon. 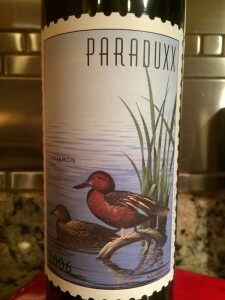 The Paraduxx red wine is a blend of 64% Zinfandel, 27% Cabernet Sauvignon, 7% Merlot and 2% Cabernet Franc. I have to say it is an interesting red blend. 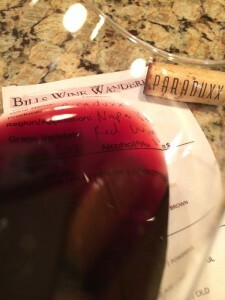 I rated the 2006 Paraduxx Napa Valley Red wine three glasses.